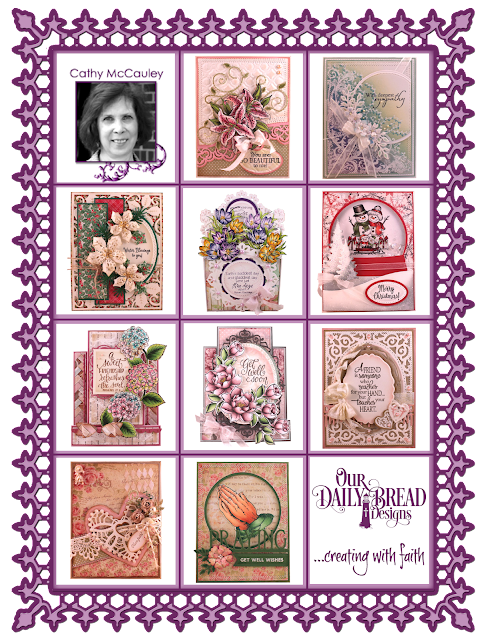 We are blessed to have a wonderful and talented group of Design Team Members who share their time and talents creating the beautiful cards that we share on our Blog, Website, Gallery, Social Media Pages and at Stamp Shows! We have people who spend hours in our booth admiring these fabulous works of art! They often return later to the booth to once again admire these amazing projects and get a closer look at the extra details and special touches that have been added to these extraordinary works of art! Today we are sharing some of the Design Team's Top 10 projects from the past 10 years. 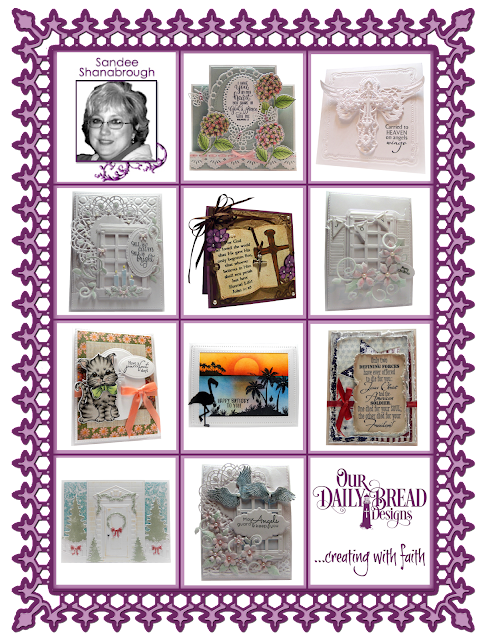 You can click the photos for more details on the products they used to create their projects. 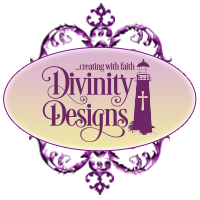 Clicking on the Designers Photo will bring you to their album in our Samples Gallery. 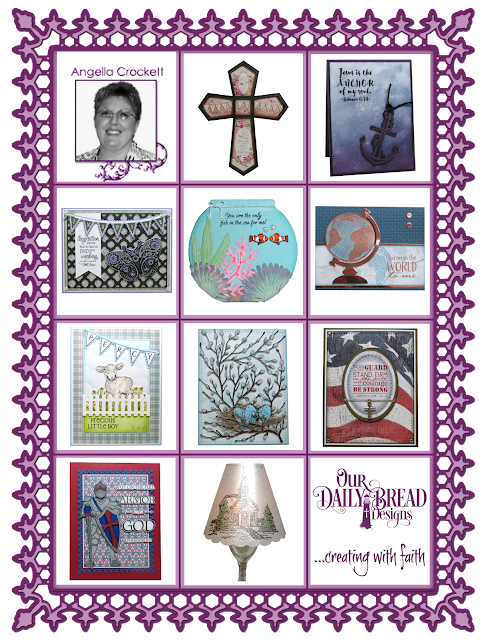 Thank you for visiting with us today, be sure to stop back tomorrow as Angie will be back with a Special Anniversary Edition of our Customer Card of the Day Favorites from this past year! I can always count on inspiration from these talented ladies! 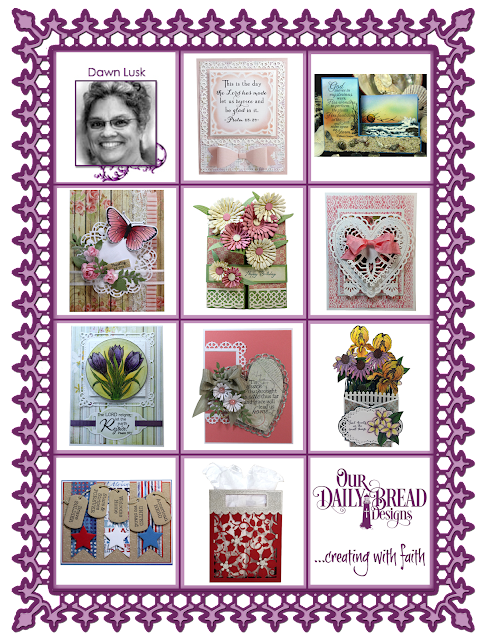 Thanks for sharing the look back at their beautifully created projects! so much beauty over the years!! Beautiful cards from everyone. I saw my favorite ODBD stamp of all times on there three times -- The Mighty Sea. 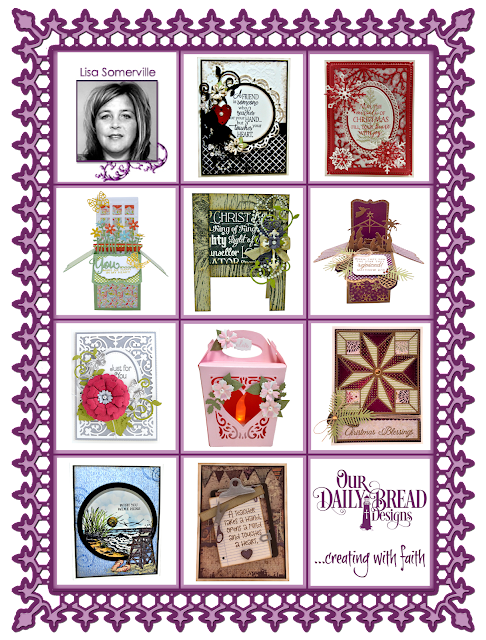 Angie, Chris, Dawn, Cathy, Sandee, and Lisa, your cards are beautiful and deserving of being showcased on the ODBD 10th anniversary! I have admired your work since I became aware of ODBD. 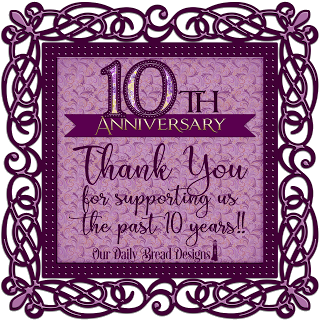 Congratulations to ODBD on its 10th anniversary!! God's blessings!! 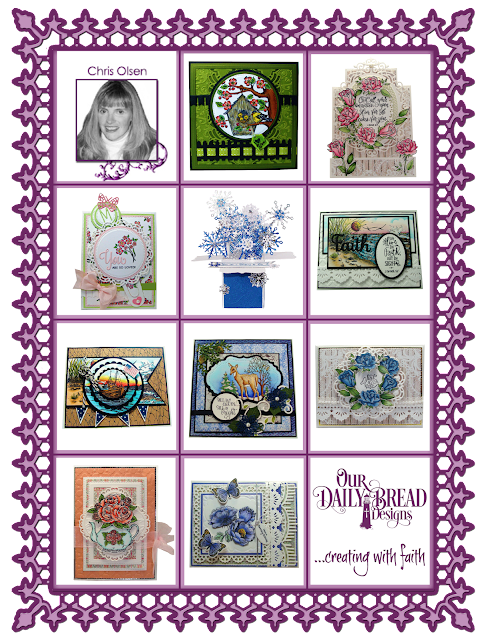 Love all the cards!!! ALL BEAUTIFUL!! !